Hundreds of Iranians opposed to the regime are rallying in Warsaw today as the Polish capital hosts an important international summit focused on Iran. Last week CUFI urged supporters to email the Foreign Office asking for assurances that it will send a high-level delegation to the two-day event, especially after news emerged that countries were either refusing to attend or sending low-level diplomats. Thank you to all those that responded. 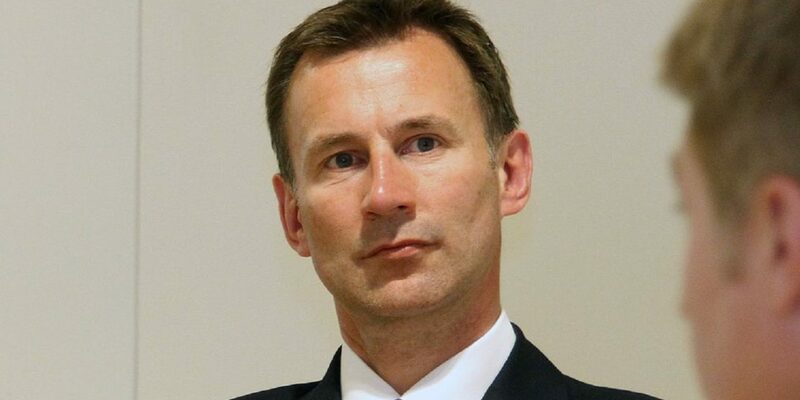 We’re pleased to inform you that Foreign Secretary Jeremy Hunt will attend the summit – at least for the first day. This is very welcome news, but it is now important that Britain takes a bold stand against the Iranian regime’s threat towards Israel, the West, and its own people. The subject of the summit, hosted by the US and Poland, has been broadened to include other Mideast issues to make it more palatable to some countries reluctant to attend, however the spotlight will very much be on Iran. Several European countries’ attendance remain uncertain even at the 11th hour, whilst the EU’s head of foreign policy, Federica Mogherini, has refused to attend. Prime Minister Netanyahu will attend, whilst several Arab governments will be represented. This means it would be the first time since the early 90s that diplomats from Israel and Arab states have sat down officially to discuss regional security. Please pray for the summit today and Thursday. The UK is supportive of the Iran Nuclear Deal that saw a lifting of imposed sanctions in 2015, but remains in the balance after the subsequent US withdrawal. But history will judge whether Britain stands aligned with Israel against the Iranian threat, or whether it will remain silent. Please pray that the UK will choose to rightly side with its strongest ally in the Middle East – Israel. During the past two weeks marking Iran’s 40th anniversary of the Islamic Revolution, the regime tested a cruise missile capable of reaching Israel and even eastern and southern Europe. Move these capabilities to Syria and the threat intensifies. Not only does Israel merit the UK’s support, but Israel is also Europe’s last line of defence to Iranian-backed terror. On Monday, thousands of people rallied in Tehran chanting “Death to Israel”, “Death to America” and “Death to Britain”, whilst Iranian leaders repeated aggressive threats of Israel’s destruction. One Iranian leader said they would raise Tel Aviv and Haifa to the ground if attacked by the US with another recently claiming Israel would be defeated “within three days”. Israel will not allow that to happen. But where UK positions itself in this conflict is in Britain’s hands. That is why CUFI UK’s Operation Mordecai is essential for these times. Like Mordecai of the Bible, we’ve heeded the warning, we’re seeking the Lord’s direction and we’re taking action. But most of all, we are encouraged that you are standing with us. The united voice of thousands of CUFI supporters in the UK is getting louder because of your support. And with your help we can be even more effective. Please see below for more about Operation Mordecai and how you can make a difference.